Under the rule approved Monday, the seal would still include other non-American flags that flew over Florida, including the 1513 Spanish flag, the 1564 French flag and the 1763 flag of Great Britain. 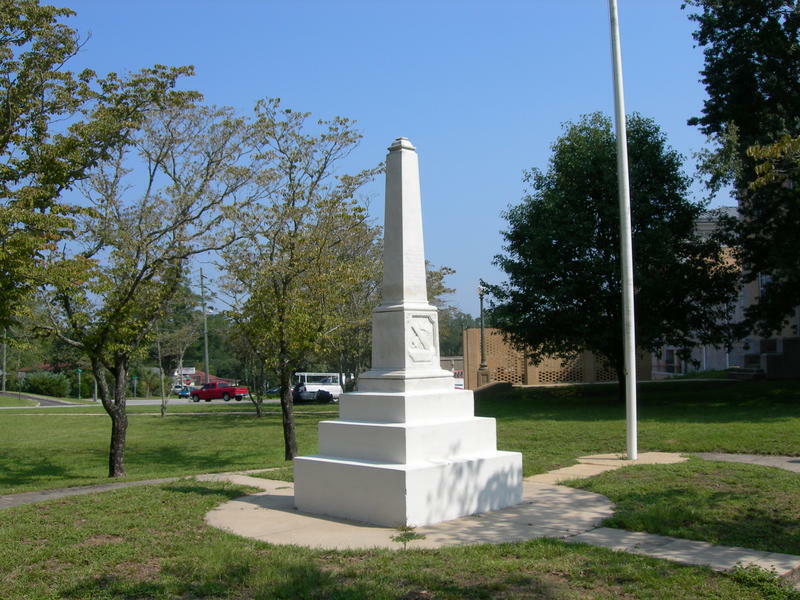 The U.S. flag would also remain, while the Florida state flag would replace the Confederate banner on the marker. Senate President Andy Gardiner (R-Orlando), and Senate Minority Leader Arthenia Joyner (D-Tampa), requested in June that the Senate Rules Committee consider whether to change the seal amid a national backlash against Confederate symbols after a man with white supremacist views opened fire at an African-American church in Charleston, S.C., killing nine people. While many Southerners view displays of the Confederate banner as recognition of their ancestors' military service and sacrifice, many blacks and others interpret government use of the flag as an endorsement of the brutal, slave-driven economy that was a central issue in the war, which raged from 1860 to 1865. Senate Rules Committee Chairman David Simmons (R-Altamonte Springs), defended the proposal on the floor of the Senate by pointing to U.S. Supreme Court rulings rejecting the legality of the decision by 11 Southern states to secede from the Union during the conflict. No one openly objected to the change of the Senate seal during the debate. However, Sen. Rob Bradley (R-Fleming Island), said he wasn't aware the chamber was going to take up the issue during the special redistricting session. Bradley also raised questions about whether the Senate should look at other options for the seal, including an overhaul of the symbol that goes beyond simply replacing one flag. "If you look at all the flags on the seal, I think you would find that there were things that occurred in the name of some of those flags that history has now looked upon as being abhorrent and terrible," he said. Perhaps because of that, Gardiner told reporters after Monday's session the seal could be altered again. "I think the understanding working with Senator Simmons is, he's going to work with the members, and the seal may change some more," Gardiner said. Lawmakers took a step toward removing the Confederate battle flag from the Senate's official seal Thursday, as a committee unanimously voted to establish a new seal without the Civil War banner. 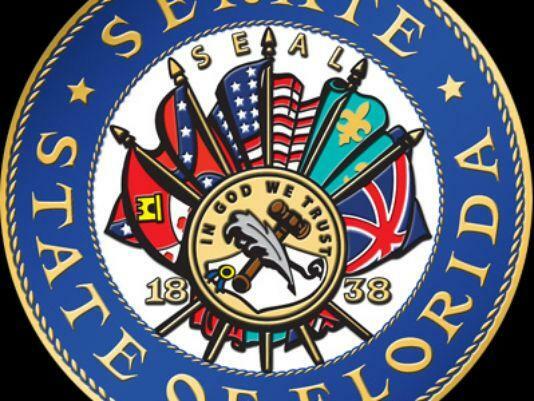 The Senate Rules Committee's recommendation, which follows a request by Senate President Andy Gardiner and Senate Minority Leader Arthenia Joyner to re-examine the flag's place on the seal, is another sign of a backlash against the symbols of the South's rebellion in the 1860s. The backlash has come after a white supremacist massacred nine black churchgoers in South Carolina this summer. The Senate Rules Committee will meet Oct. 8 to begin re-examining the current emblem of the chamber. 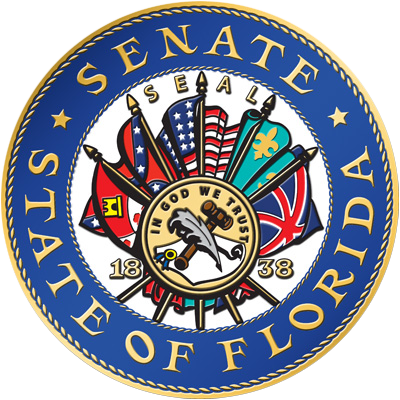 Under Senate rules, the seal includes "a fan of the five flags which have flown over Florida" — those of the United States, Confederate States of America, France, Great Britain and Spain. 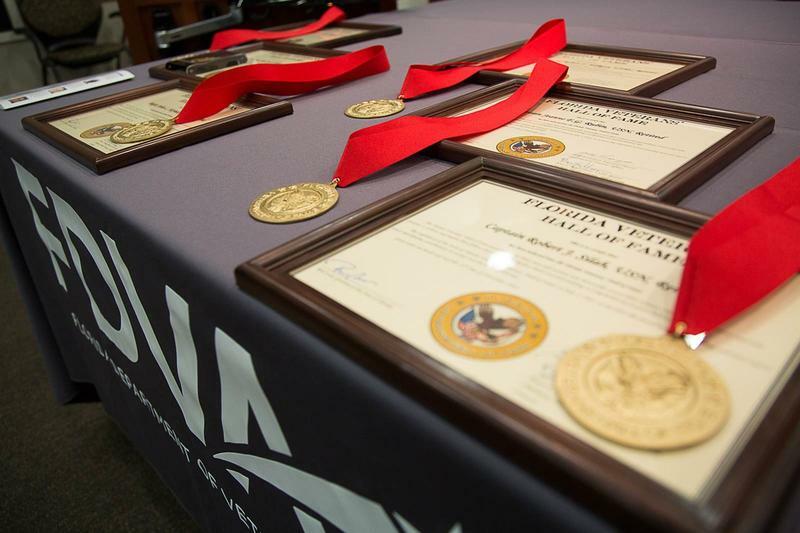 Never a group content to abandon lost causes, the Sons of the Confederate Veterans continues to push for soldiers who fought for the South in the Civil War to be included in the Florida Veterans' Hall of Fame --- through legal action, if necessary.